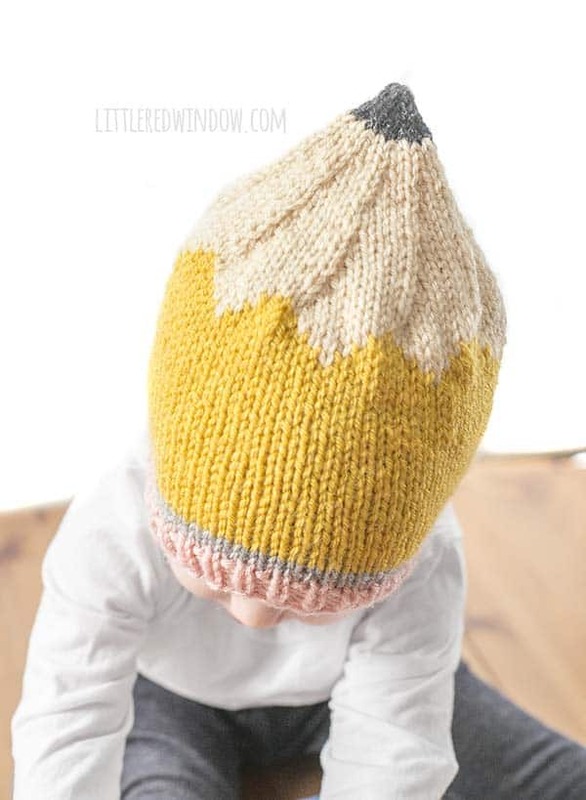 This adorable pencil hat knitting pattern is perfect for back to school or anyone who loves to draw or write! 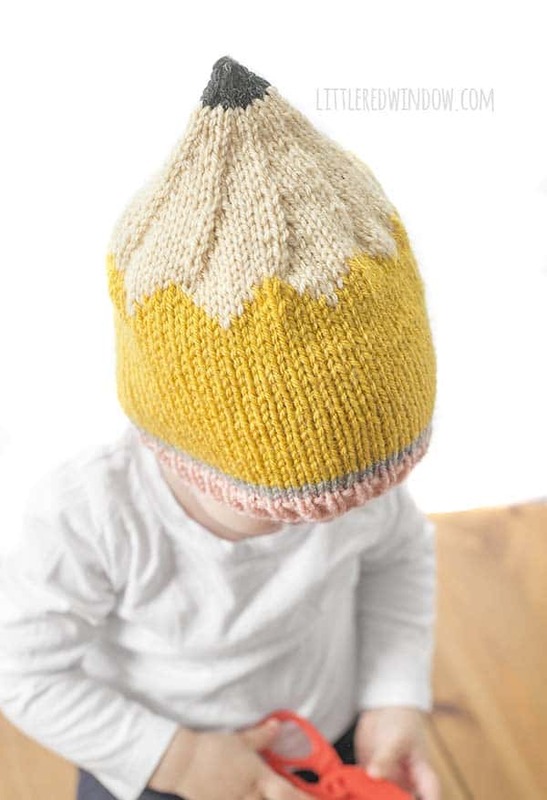 A pencil hat! Ha! 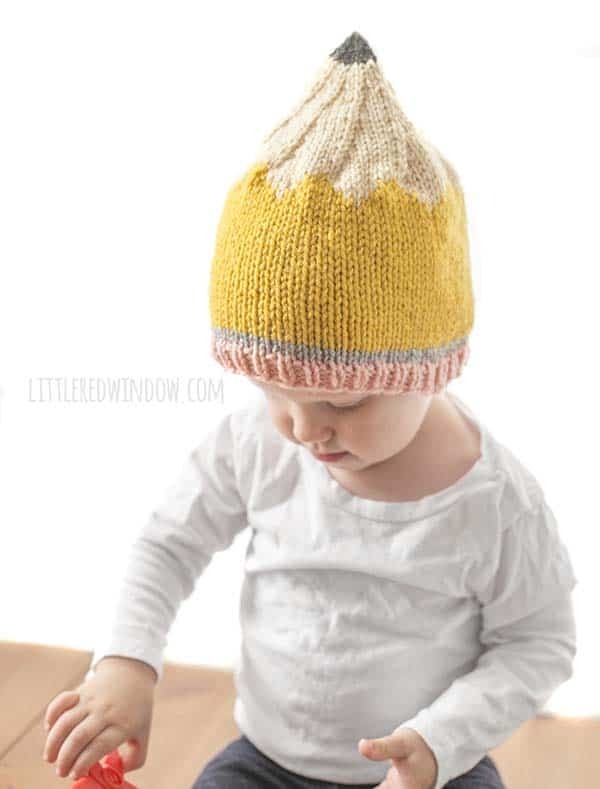 Oh my gosh, you guys, some hat just really get my funny bone and this adorable pencil hat knitting pattern is one of them. I just cracked up the first time Baby V tried it on! I mean come on, it’s even got the pink eraser at the bottom and the perfectly sharpened pencil lead at the top! 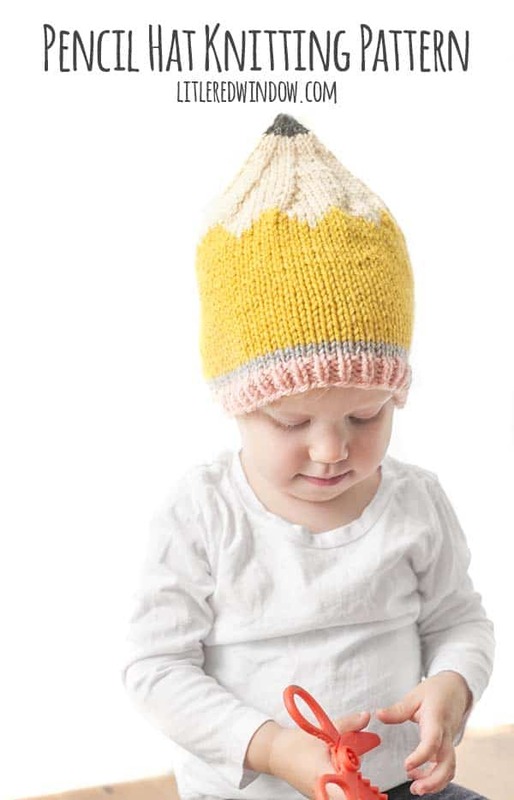 It makes me wish I could go back in time to when O’s kindergarten teacher and his wife were having a baby and I knit a little hat for them, I mean, wouldn’t a pencil hat be the PERFECT gift for a teacher?! Fingers crossed one of his or Baby V’s teachers has a baby in the near future… It would also be great for an artist or someone who loves to draw or write! Pencil hats for everyone! Another one for my library. Thank you so much. I am purchasing this one now. I know it’s a bit of a liberty on my part but I don’t suppose there is any chance of you doing a “SOCCER BALL” is there? I should have thought if it before the FIFA World Cup !! You have my permission to tell me to sod off if you like. Bahahaha. 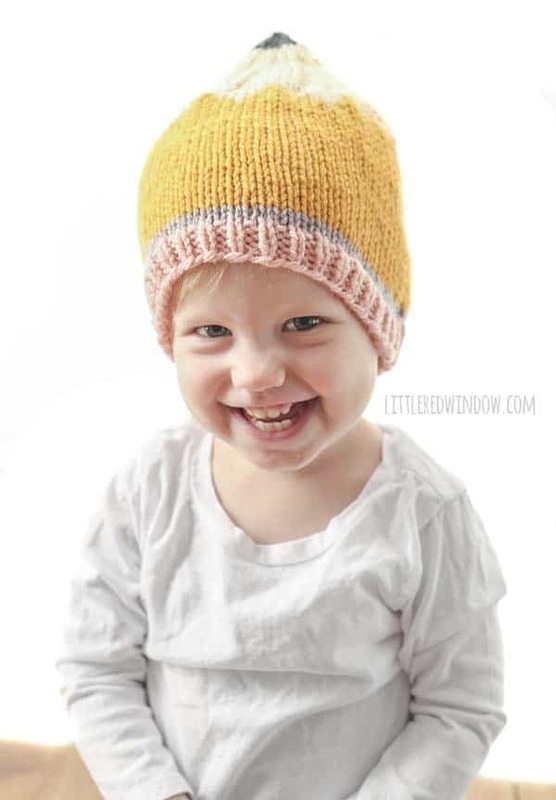 I love the pencil hat and plan on ordering the pattern. Thank you for all your hats they are adorable. I would love to make some in a larger size. 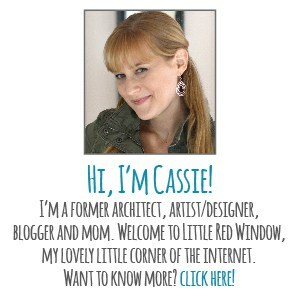 Is it easy to increase for a child size 7-10 year old or even an adult size.